I wrote Damocles a PM a couple of weeks ago and the thread hasn't been updated in many years so I doubt he will mind if I take over. The old one can be found here. 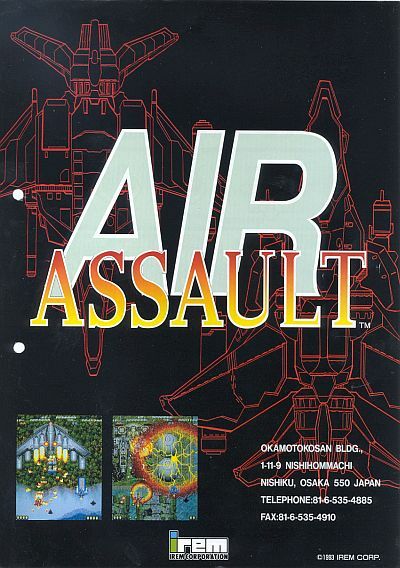 I'm going to split between the Western Air Assault and the Japanese Fire Barrel since the former is easier than the latter as is the case with many Irem games. I'm also going to add fields for autofire and the player side, most players either mentioned their settings or it can be deduced by the scores. If some of the data is wrong then just say something and I'll change it right away. Do note that you earn a ton more points just by playing on the P2 side, at the end of each loop you'll get many additional points that are related to the amount of lives you have left, essentially doubling the bonus you already get. Last edited by Perikles on Sun Oct 21, 2018 9:23 pm, edited 8 times in total. You guys sure hate your hands, mashing your way through three loops. Merci for the correction, I changed it accordingly! Actually, if I remember correctly, the factory setting on the board is with auto on. 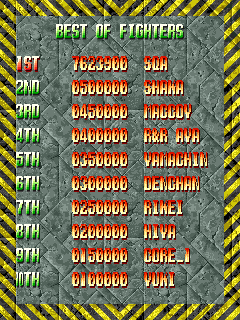 I think 1P and 2P scores should be split. The scoring is greater using 2P. You're right, that's a reasonable request. I've done so and also added Ruldra's older 1P score. Man this game is one of the boringest out there ( not sure if its supposed to be a Raiden clone or not) . Lost a bunch of lives in the second loop since I was super tired and falling asleep, but I could do better if I ever decide to come back to this. Thank you! I think now all is OK! I don't see a need to split player sides, just noting the side used should be fine. The game is not made easier or harder, and both ships otherwise play identically. The 2P side gets more points for doing the same actions, and all this does is encourage you to avoid the 1P side no matter what. It's like DDP, but worse. Hm, that is true, of course. I can definitely understand edusword's concern insofar as the scores simply can't be compared - you will never achieve millions of points at the end of a loop. On the other hand, as far as we currently know, there is no discernible difference whilst playing the game, which speaks against splitting the boards. Not quite simple reconciling all interests here. I merged the tables again, but put the remark about the 1P/2P side in a bold font so that everyone can see that right away. Also deleted a score by request. I really enjoyed R-Type, and I heard this was ridiculously easy, so I thought I'd check it out this evening just as a quick curiosity. 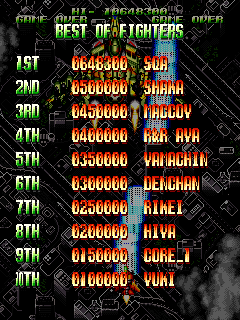 After a few credits of sleepily fumbling I got the 3-ALL before any other clear, oh boy . I guess this game is alright, but man does it not live up to other Irem titles. I might come back for the 10 million, I might not. Now I'm satisfied with putting this game to rest. I'm not really a fan of Fire Barrel, but I actually don't mind it. It doesn't really have anything wrong with it besides being too easy and fairly generic. well, I guess I'm not a fan of bosses/bigger enemies being able to still fire until every last piece of them has disintegrated, which causes oh so fun unintentional double KOs. I prefer Vimana when it comes to easy games with multiple loops, even though you have to dedicate a million years to a single run in that game. There needs to be at least one game like Fire Barrel. Something has to fill that spot, to oppose things like Mad Shark. Unfortunately I don't have either the Fire Barrel or Vimana scores I want, so this is just commentary.